It turns out Gmail has a feature to cancel e-mails that have already been sent. Here's tutorial. 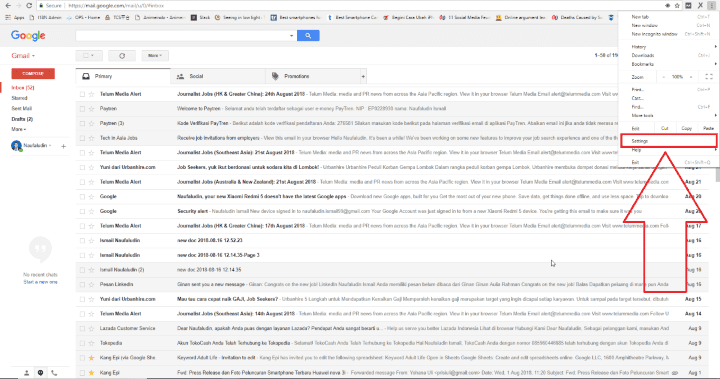 Have you ever accidentally sent an e-mail but it's actually not finished? Or have you ever sent an e-mail to your boss in the office when the e-mail should have been joked? You must be panicking right? If it happens again, how do I deal with it? Don't worry, we have tips to overcome this! This time we will give tips on how to cancel e-mail that has been sent. 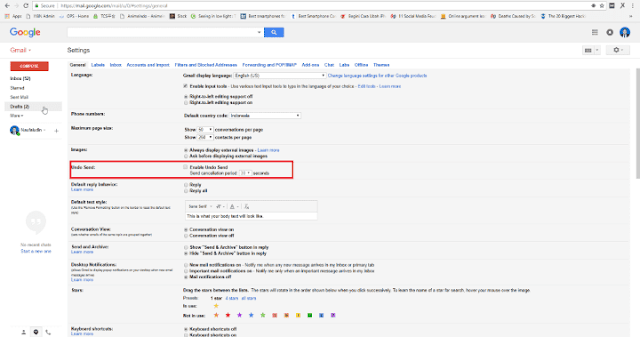 Tips that will be shared this time specifically for Gmail users. So, for you Gmail users, there's no need to worry anymore if you want to pull an email that has already been sent! While this feature can only be done on a computer / laptop. Reportedly this feature will soon be on Android. if there is an update about this, surely we will updating for you. 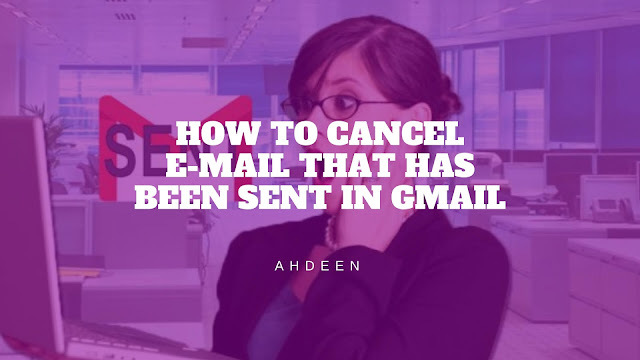 Following are the steps to cancel e-mails that have already been sent. 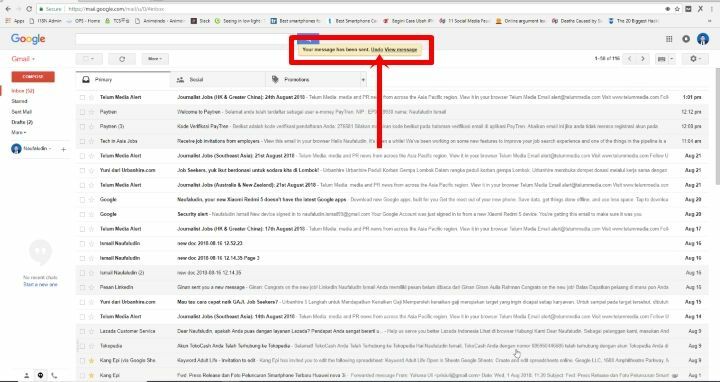 You do not automatically delete or retract e-mail that has already been sent. 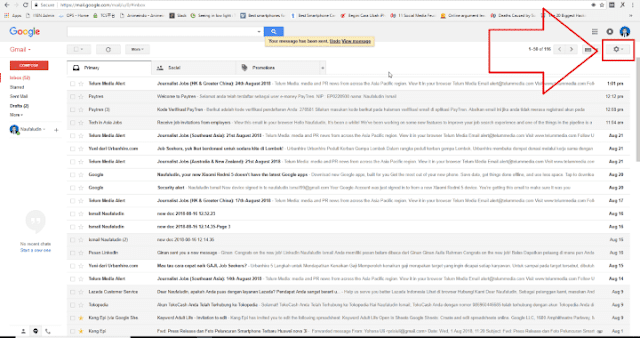 You must activate the Undo Send feature first in your Gmail settings. The first step, open your Gmail account and select the symbol ** settings ** in the form of a gear wheel in the upper right corner of Gmail's front view. Step four, set how long you can _undo_ e-mail that has already been sent. You can choose 5,10,20 and 30 seconds.